Shining Path back in stock at One Small Step! Like the title says, you can buy copies of Shining Path again… $22.95 each. Green Beret and Algeria are still marked as sold out, but that may be fixed soon as well. 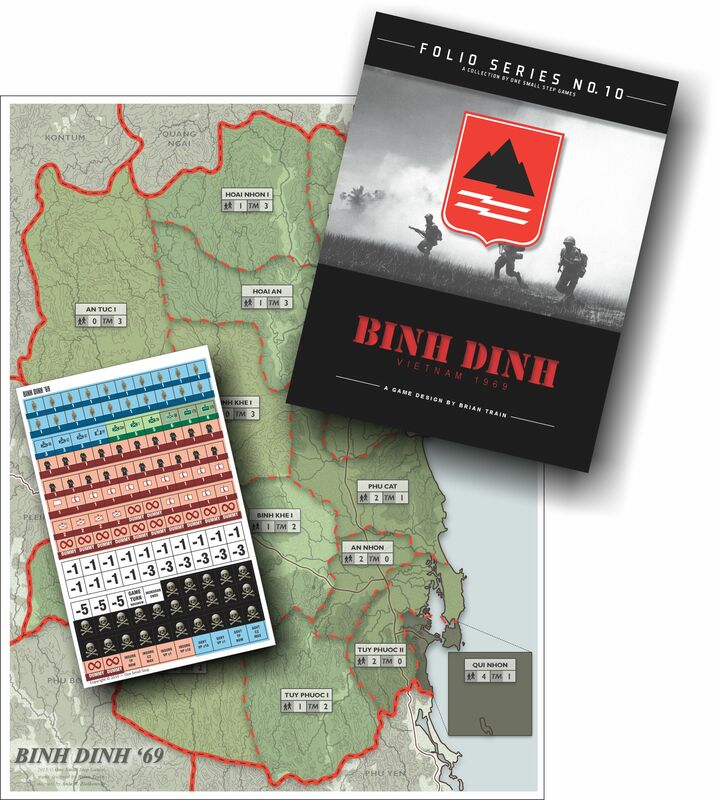 Meanwhile, Kandahar, Operation Whirlwind, Binh Dinh 69 and Tupamaro are all available. Chile ’73 – Out Now! Like a column of trucks and jeeps arriving in the middle of the night, disgorging teams of infantry who fan out and begin arresting Cabinet ministers, my latest game Chile ’73 is upon us! From Tiny Battle Publishing, in the familiar folio format, comes my latest game (though I had designed it some time ago) on “the other 9/11” … the coup d’etat of September 11, 1973 that overthrew Salvador Allende and established Augusto Pinochet as the leader of the military junta that would rule Chile for a generation. Anyway, here’s the important part: the link to buy! The map and counter art is by Jose Ramon Faura, who also did the art for my games Ukrainian Crisis and The Little War. Definitely a cut above what I handed in to TBP. Also, when I originally submitted the game it had 88 counters, to use half of the 176-counter 5/8″ countersheet die TBP often uses. But when the company people played it they thought it would benefit from their larger 1″ counter die. The way that die is laid out let them add seven extra units to the mix, so the game is playable by an even greater number of players – you really aren’t limited to four, technically there is no upper limit and the more the merrier (but there are still only 43 units to command). My original inspiration for the original game was the 1978 film Power Play, featuring Peter O’Toole, David Hemmings and some familiar faces from Canadian movies and TV as officers plotting a coup in an unnamed country. Donald Pleasence fittingly played the head of the secret police. Yeah, I should have picked a better title for my original game… but Chile ’73 is the game I said I was planning to design in the final paragraph of that Paxsims article, featuring multiplayer play, hidden information, and hidden agendas… and now you can have it. Copies of Tupamaro are winging, rumbling, lumbering their way through the American postal system to all who pre-ordered this folio game from One Small Step Games, at the low price of $19.95. Everyone else is welcome to buy theirs now, at the slightly higher price of $24.95!